Creating a Reconciliation Action Plan (RAP) is about turning good intentions into real actions and rising to the challenge of reconciling Australia. Engaging and supporting our Aboriginal and Torres Strait Islander community has been a key focus for North Western Melbourne Primary Network and Melbourne Primary Care Network since our inception. Our RAP is another way we are working to create meaningful relationships, enhanced respect and promote sustainable opportunities for Aboriginal and Torres Strait Islander Australians. Relationships: Working in partnership with our local Aboriginal and/or Torres Strait Islander communities to better understand local health issues, work towards our goal for reconciliation and close the health gap. Respect: Acknowledging and understanding our history and its impacts on the health outcomes of our local Aboriginal and/or Torres Strait Islander communities, is key to building our understanding and developing long term relationships based on respect. Opportunities: Creating opportunities to both improve health outcomes for Aboriginal and/ or Torres Strait Islander people and create a more inclusive work environment. Tracking Progress: Ensuring NWMPHN is accountable to our RAP through regular meetings and reporting activities. Developing this RAP has been an ongoing process of consultation since 2013, championed internally by our CEO, Executive Team, Closing the Gap Program Officer and Aboriginal Health Coordinator. Development of our future RAPs will involve further consultation with staff across our organisation including Aboriginal and/ or Torres Strait Islander staff and/or stakeholders to achieve our vision for reconciliation. 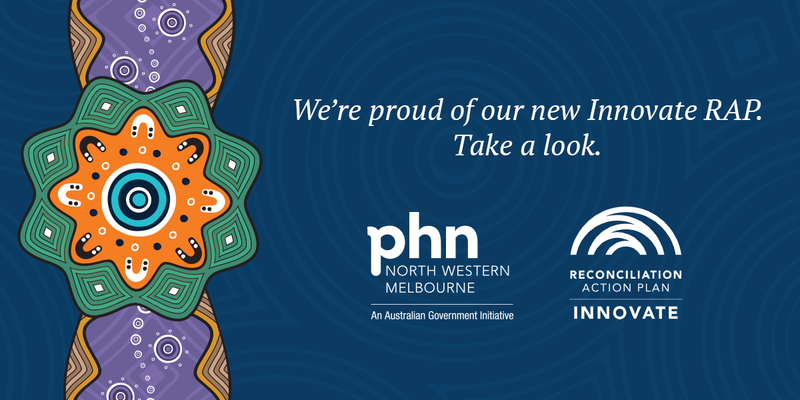 For more information: Read about National Reconciliation Week and the Reconciliation Action Plan program at the Reconciliation Australia website.